One of my favorite things about the holidays?! ALL THE SALES! 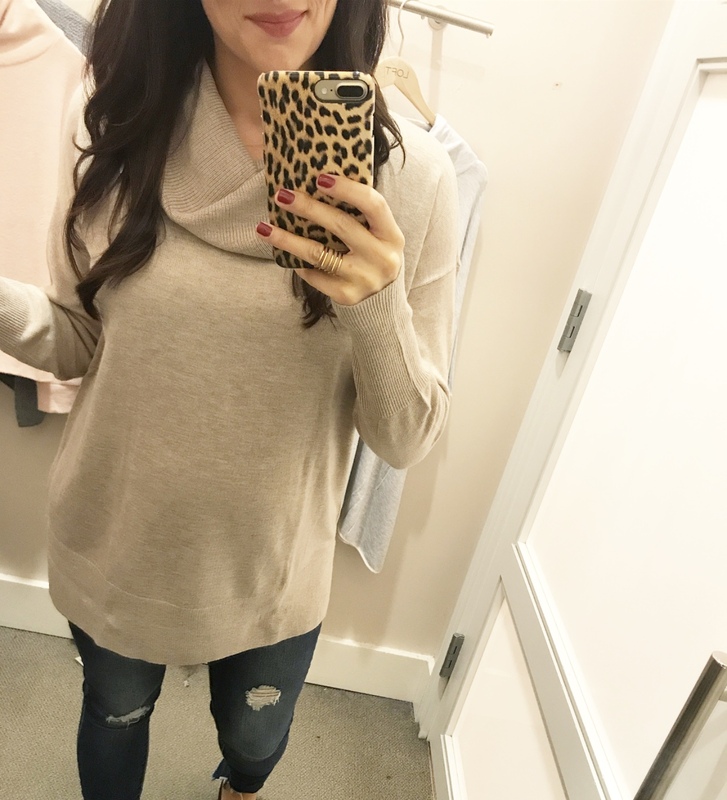 I’m a big lover of all things Loft and I especially love that they are almost always having a great sale! Right now, with the code “HAPPY”, you get 40% off everything on their site! Their Lou & Grey collection is AMAZING and they carry such great neutrals for a casual weekend or a day in the office. 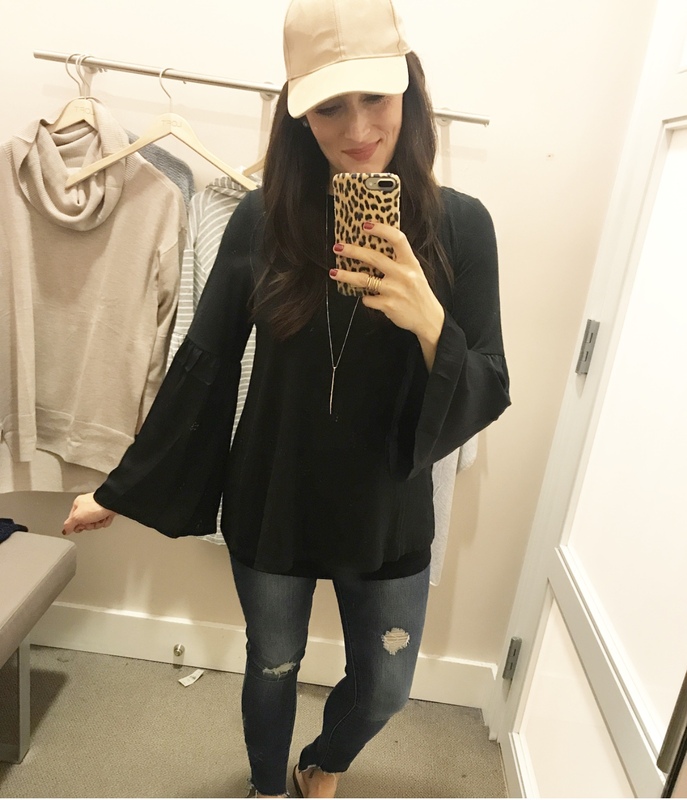 I polled you guys on Instagram last week and asked about a try on session and you guys picked a Loft try on session over Old Navy, so here we are! I picked up a couple of great pieces in the store and online and thought I would share them with you guys on here so that you could have easy access to shop. At the bottom of each description, I’m also sharing the size I’m wearing to hopefully help you make an easy sizing decision. 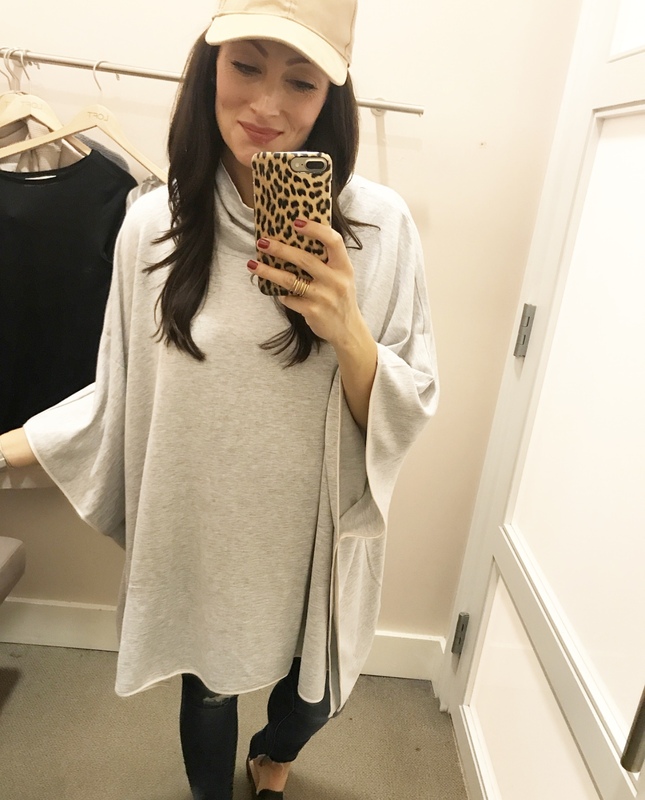 Ok, if you are a mom, new mom or expecting mom, this poncho is perfect for you! Once again, it’s a Lou & Grey piece, so you know the fabric is soft and it’s just so flattering. I can’t wait to wear this with leggings around the house or out to run errands once the baby is born. 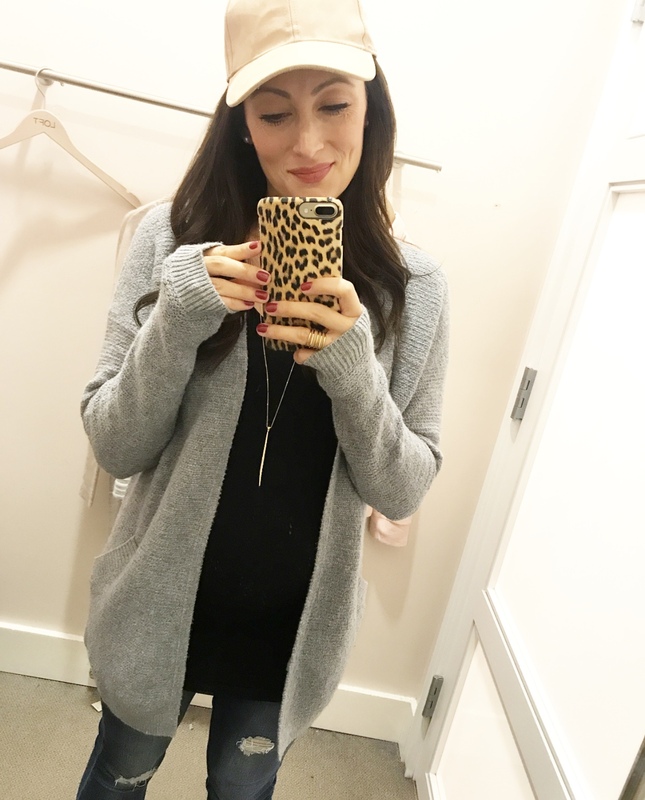 I couldn’t pass this cute casual dress up! First of all, stripes. DUH. Second, it’s from the Lou & Grey collection for Loft. If you have never tried any of the Lou & Grey pieces, you are missing out. ALL of their pieces are SO soft and comfortable. I can’t wait to wear this casually with sneakers! Ok, I LOVED this. Not only is it comfortable, but it’s a little longer in the back so if you wanted to wear it with leggings you could. It also comes in 5 colors. I honestly don’t have a cardigan like this in my closet so I think that’s why I was drawn to it. It has a fuzzy look to it and it’s so warm & cozy. Comes in 2 different colors – I ended up not getting this one because I really wanted it in a light color. Yes, I know, another cardigan! BUT this one is the perfect length, on sale and comes in 4 colors. I also just love the ribbed texture and the slouchy pocket look that it has. Oh my goodness, I loved this! It’s Lou & grey (hello softness!) and comes in the pretties blush pink color. 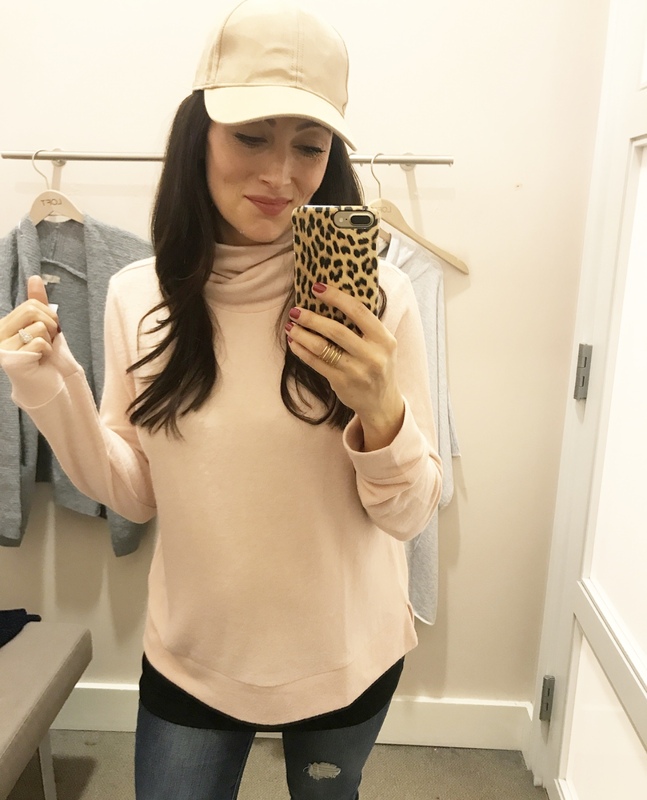 Light pastel tones are trending for fall, so this turtleneck fits right in. Ok, if you need a great shirt for the office, this one is the perfect choice! The sleeves are slightly dressier and it’s just a great classic wardrobe shirt that you can wear with slacks, a skirt or with jeans. It’s on sale for $26.70 and comes in 2 colors. I ended up passing on this one as I won’t be able to wear it for at least a couple of months until my baby bump is gone. 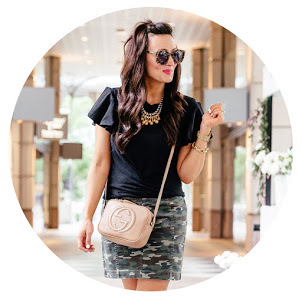 There are so many cute pieces for fall & winter included in this sale…now is the time to stock up! 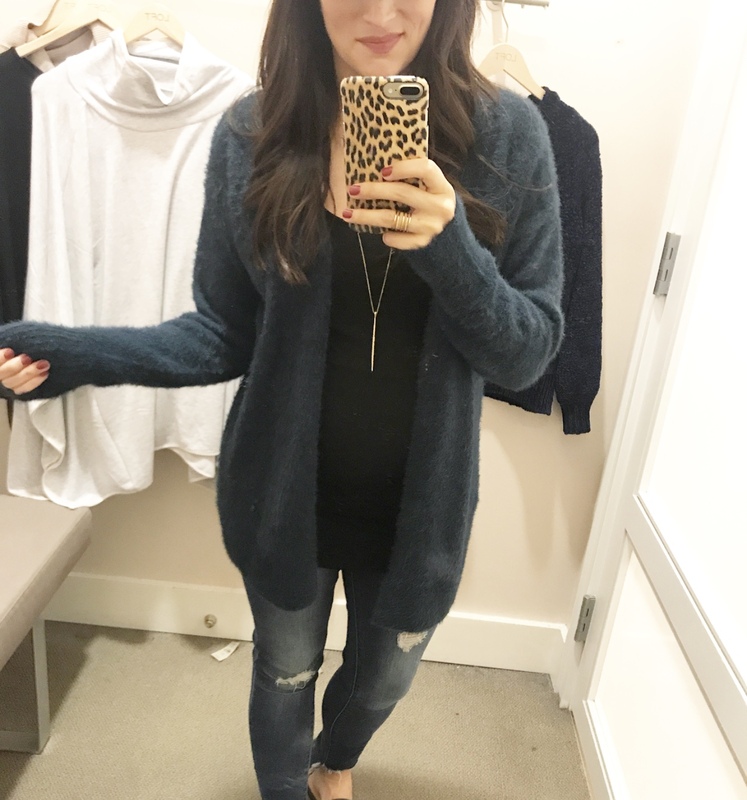 I picked up a couple of other pieces online that were not in the store, like this adorable pocket cardigan in the camel color. It’s the perfect oversized sweater and will be perfect all the way into the cold winter months (I ordered a size XS). 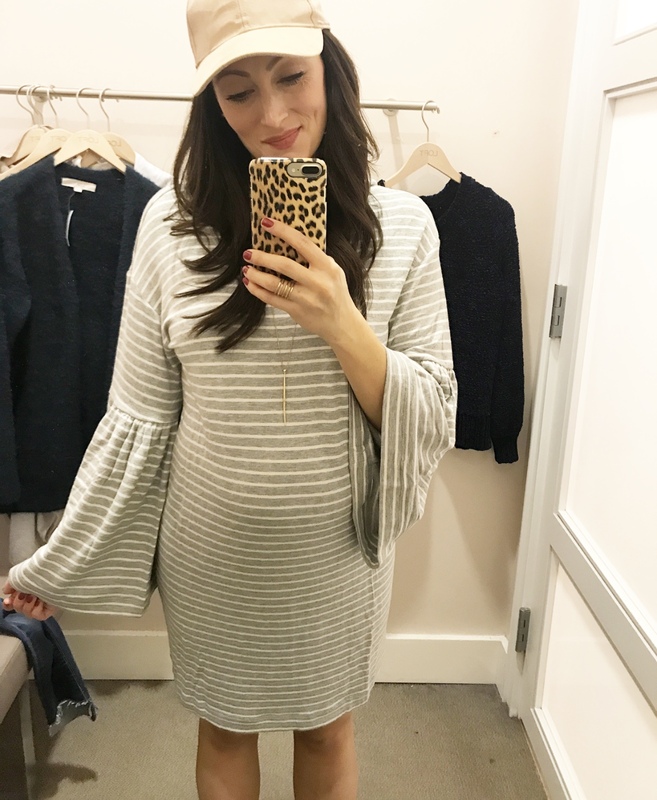 I also added this grey striped bell sleeve top to my cart as it’s a great closet staple! I might not be able to wear it till after baby is born, but it’s a great neutral to have on hand (I ordered a size small). Have an amazing Monday & happy Loft sale shopping!